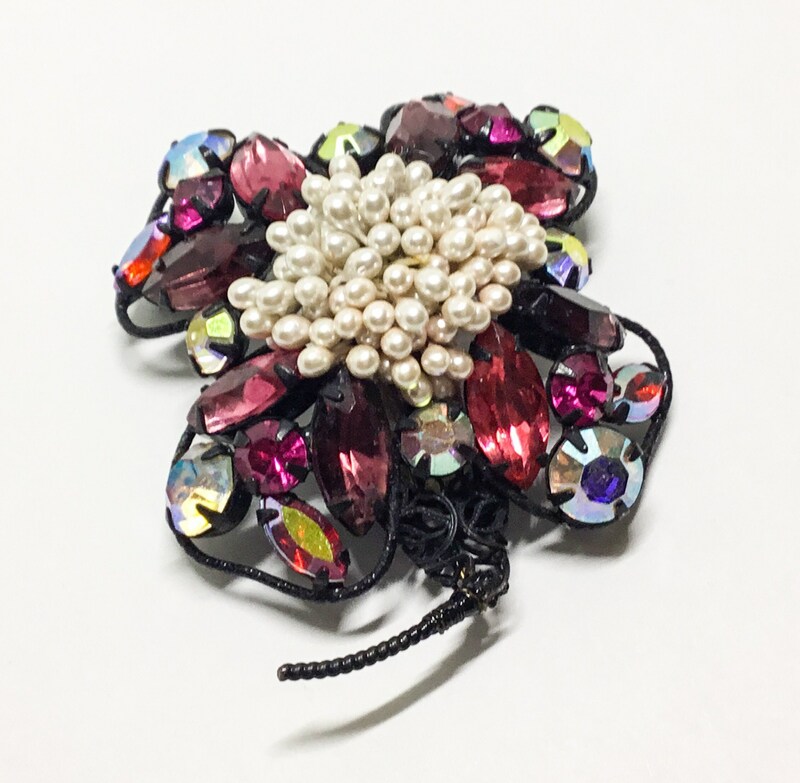 This is a fabulous vintage unique rhinestone and pearl cluster floral brooch. 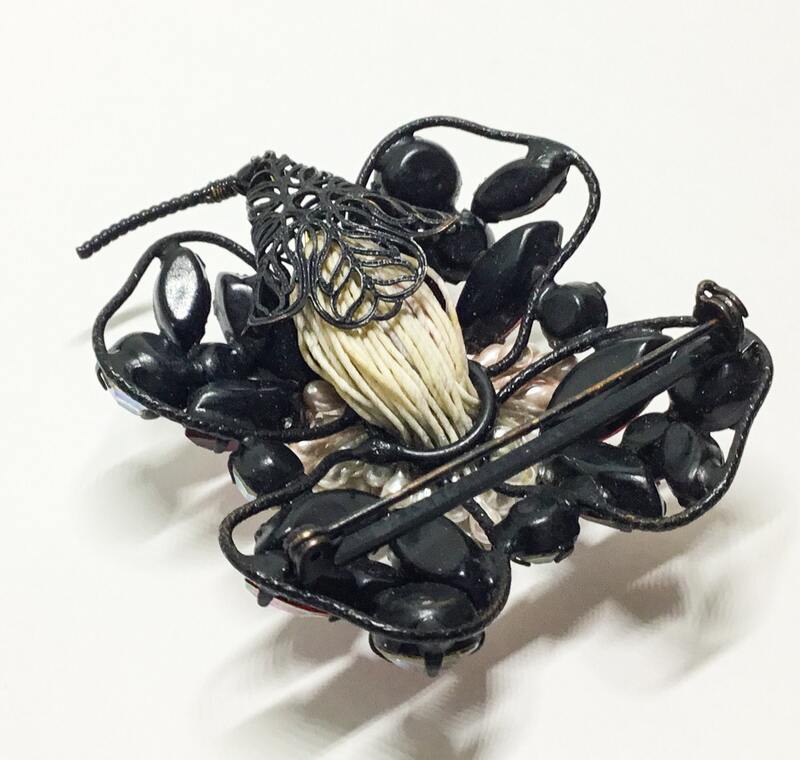 The setting is Japanned black metal with four petals, a stem, and a large cluster center of small pearls. 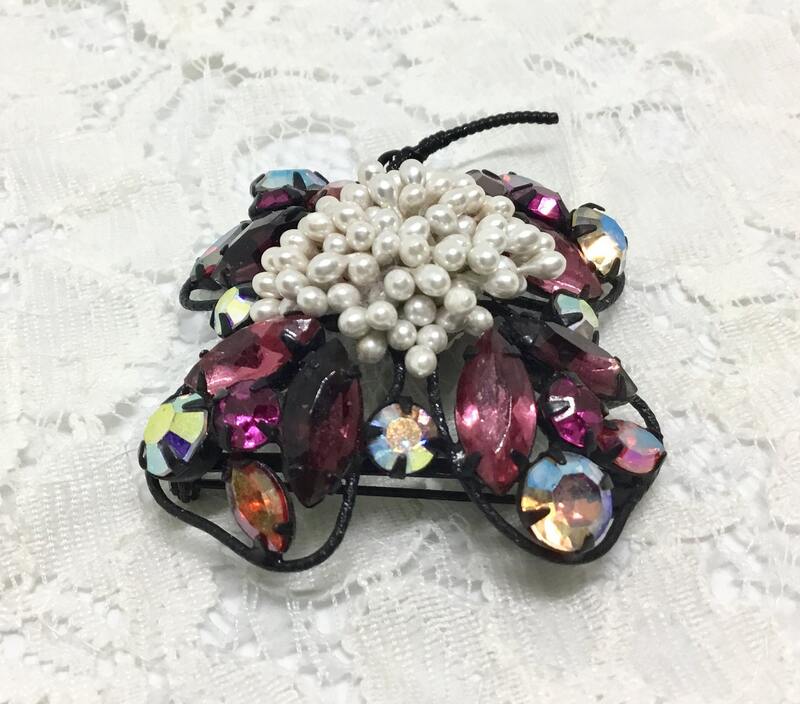 The pearls are on strings which are gathered and secured on the back of the brooch. 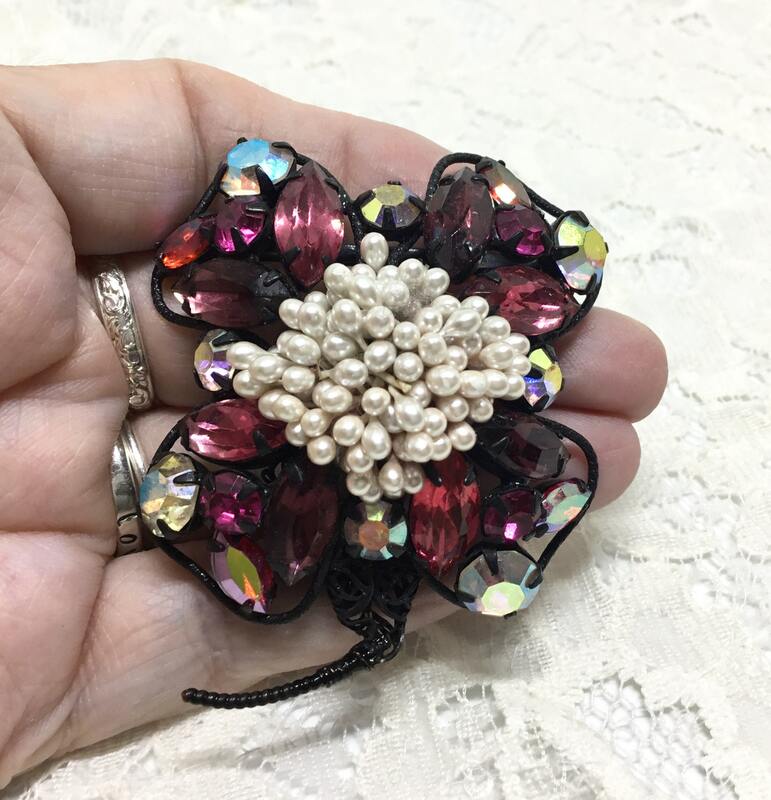 Each petal has four shades of fuchsia rhinestones and an AB rhinestone. 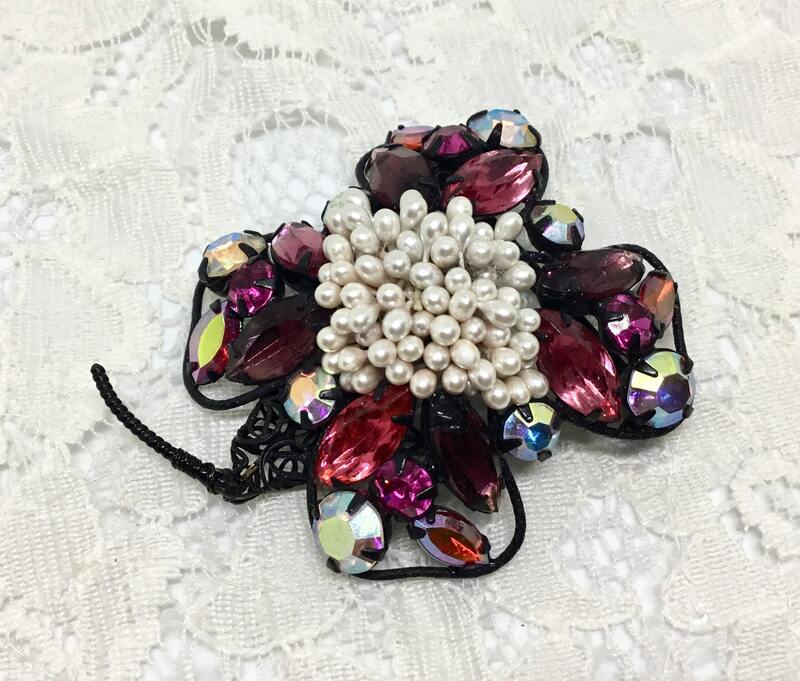 Between each petal is one AB rhinestone. 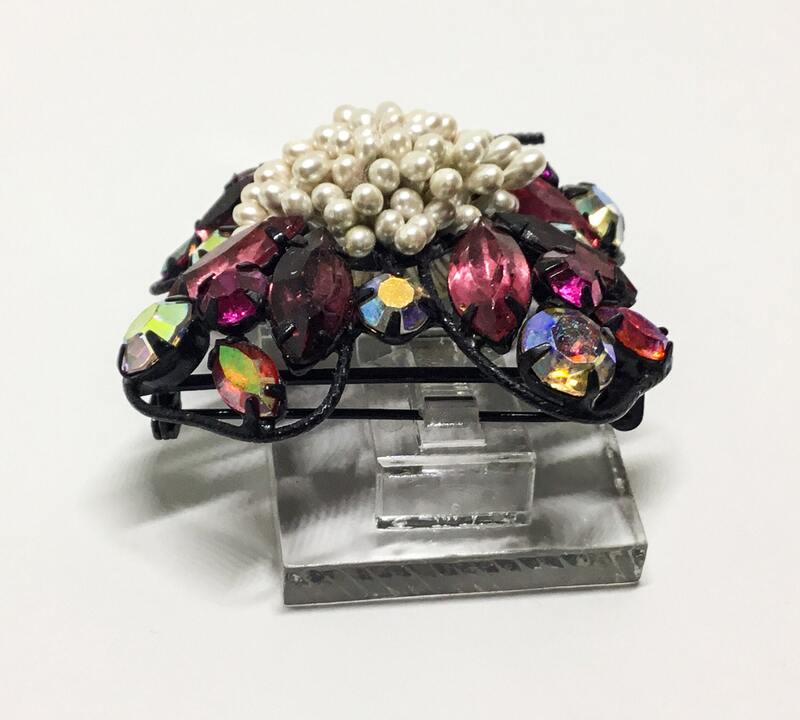 It measures 2” x 2 1/2” and the pinback is straight and works smoothly and securely. 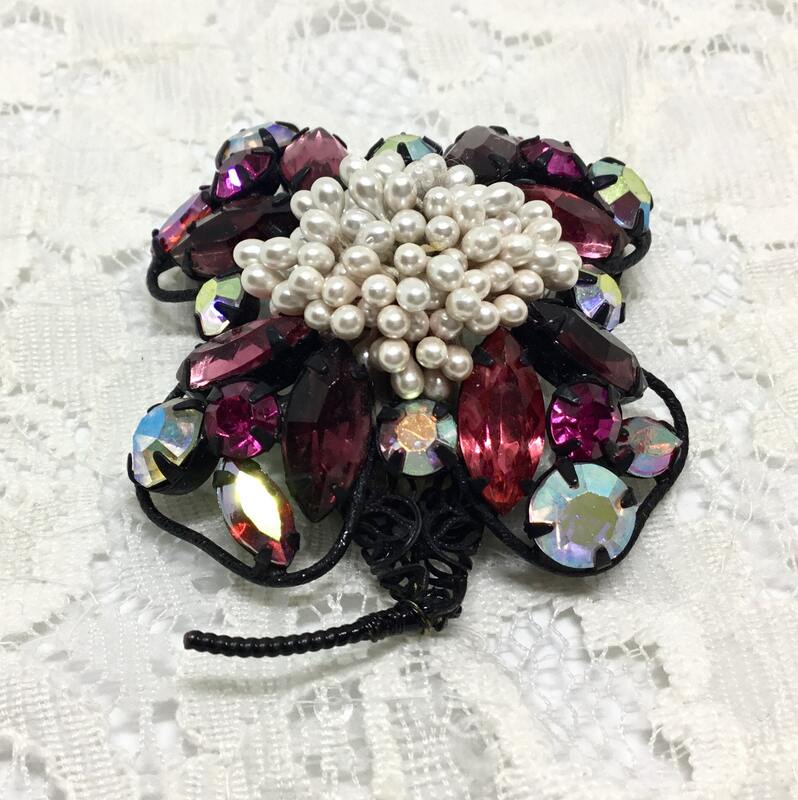 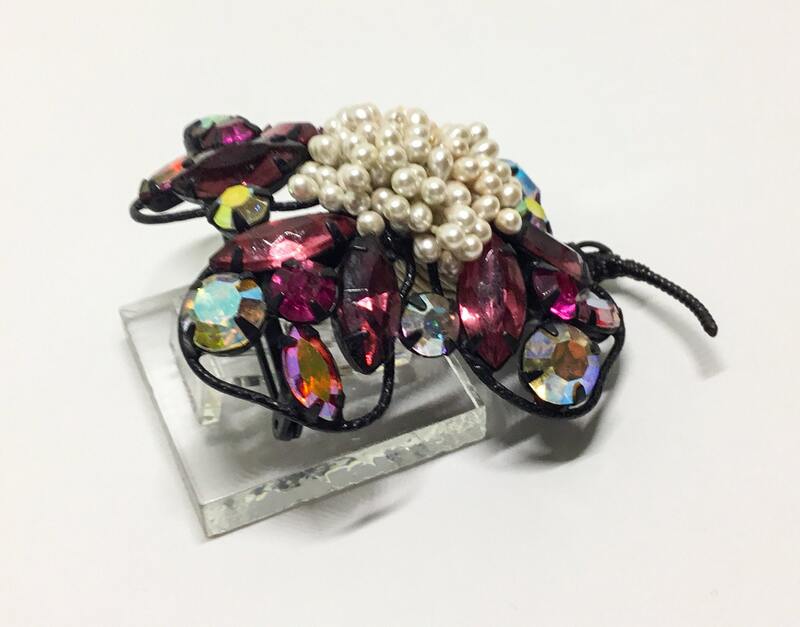 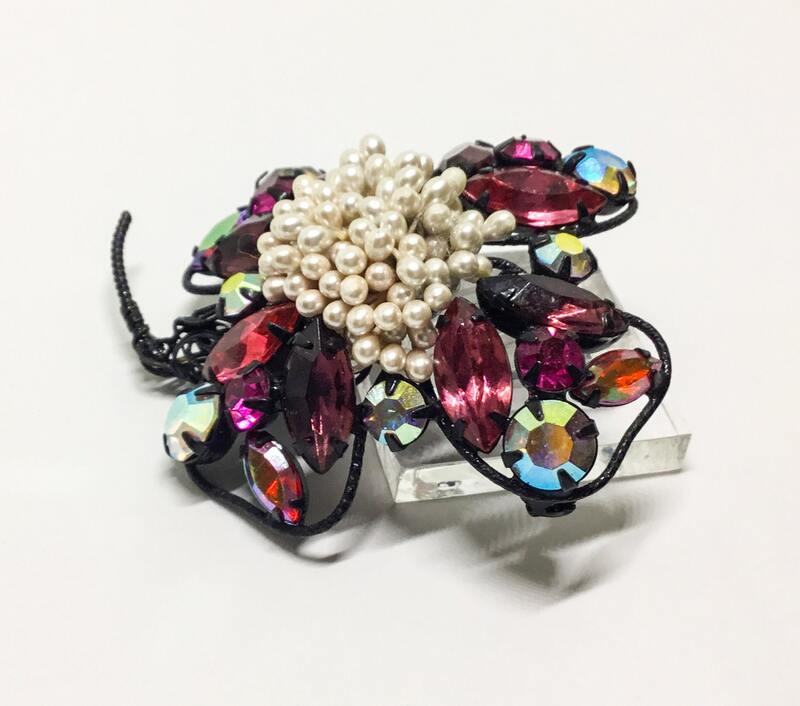 This is a gorgeous and unique floral brooch that will turn heads and have you looking glamorous. 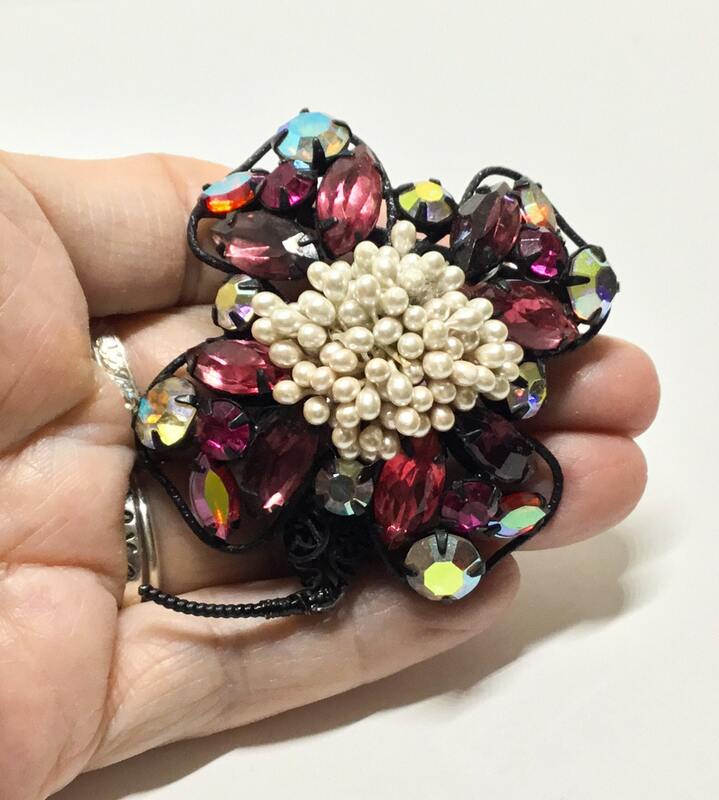 Buy it as a gift for yourself or for Mom on Mothers Day!